Back in the day -- around the time I started college as a nontraditional student -- I was enamored with my Prismacolor Pencils. They were my medium of choice for a long, long time. However, I gradually developed arthritis in my hands, and holding a pencil or any kind of writing implement for any length of time became painful and nearly impossible. In fact, I had started college with the intent of becoming a children's book illustrator. When it came time to hang up any thoughts of illustration because of my hands, I turned to the darkroom and photography. Which is how I finished college, with an emphasis in photography. Anyway, I digress, I know. I just wanted to set the scene so you realize how important this post is to me. 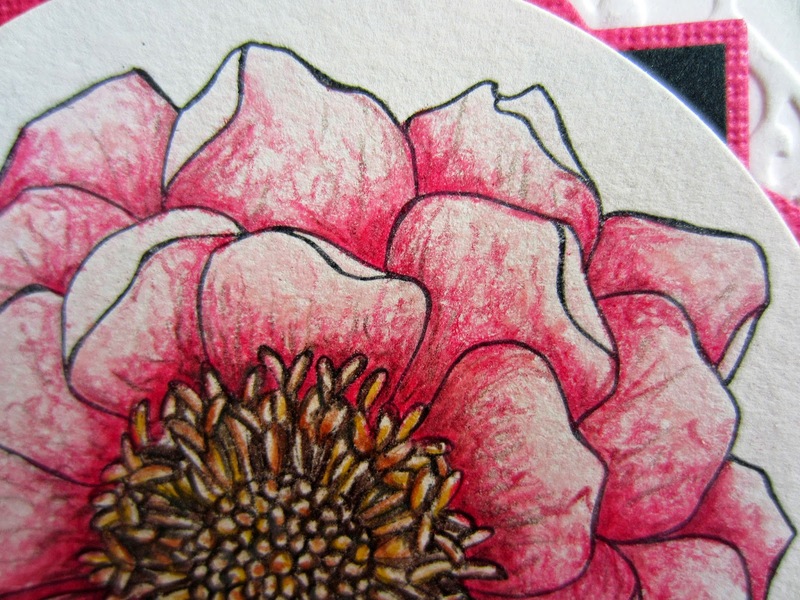 I cannot remember how long it's been since I picked up a colored pencil to do any serious coloring. Years and years. Oh, And, by the way, everything I colored during that long ago time was something I had drawn myself. But, I guess it's a whole new day for me. As you already are well aware, I LOVE Blended Bloom. And I have shown you a few ways that I have used this beautiful stamp. My technique has definitely changed since I last used my Prismacolors. It is considerably more delicate and thus probably more feminine. Which is OK. 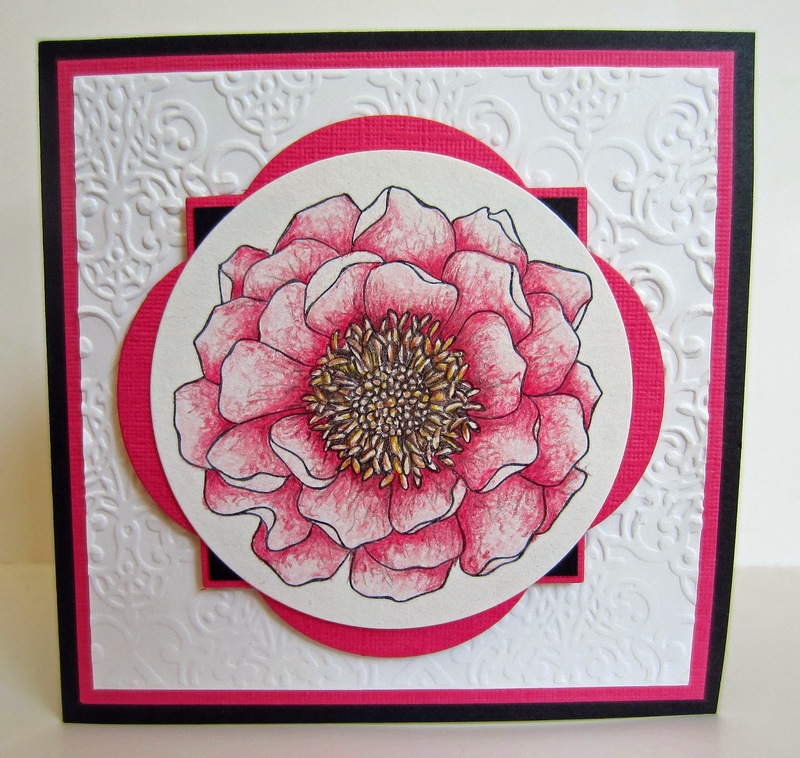 I guess the main purpose of this post is to show the incredible versatility of Blended Bloom. I'm sure I'll come up with many more ways to present this image to you. Bear with me. Better yet, why don't you add one to your own stash so you can have as much fun experimenting as I am with something so wonderful! I love the card. I think it's something I'd like to try again. I do the house mousies with colored pencils, like you it hurts the hands now. I want to learn how you do your strokes if I ever find my pencils. I envy those with this type of talent. These are SEW beautiful. Thanks for sharing. This is so beautiful! Thanks for sharing with us at Your Designs This Time! Well, I think you should definitely pick up your coloured pencils again! This is beautiful! Once again for linking up for our Worth Casing blog of the month for June over at Agent Mystery Case. Winner is now on the blog and linkup for July now open. You make the loveliest cards, thank you for sharing them this past week!! Have a great week! !